After years of hoarding everything under the sun, I think I’ve finally arrived at a point in my life where I appreciate minimalism. Today, I can proudly say that every item in this house is either functional or sparks pleasant emotions – otherwise, it goes in the trash (or the basement, in the best case scenario). And when it comes to childrens toys – the same principle applies as well. At first, it was a challenge to learn how to say no. But after a while, you get used to that 10 second frown, especially when you remember saying no is for your kids’ own good. In fact, parenting experts say that too many toys tend to overwhelm children, which can later lead to short attention spans and even addiction to stuff. On the other hand, when there are fewer toys in the environment, toddlers can focus their attention better and use more creativity by thinking of alternative ways to play with them. Without a doubt, learning to value quality over quantity early on, can lead to developing better habits in adult life. But the truth is, your children can’t be taught to appreciate minimalism, if you as a family don’t share the same beliefs as well and refrain from buying stuff excessively. 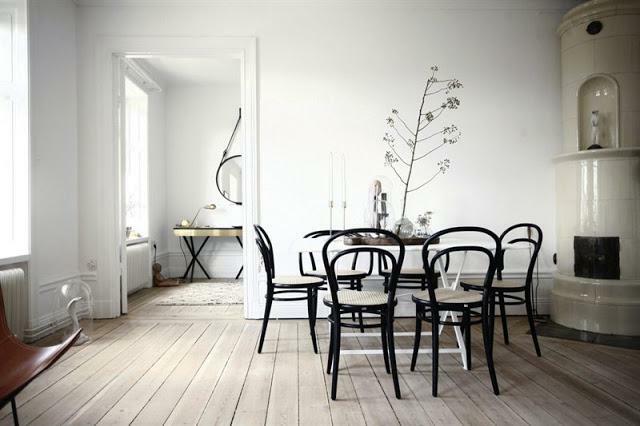 Adopting a simplistic and orderly design scheme like Scandinavian can sure help a lot. 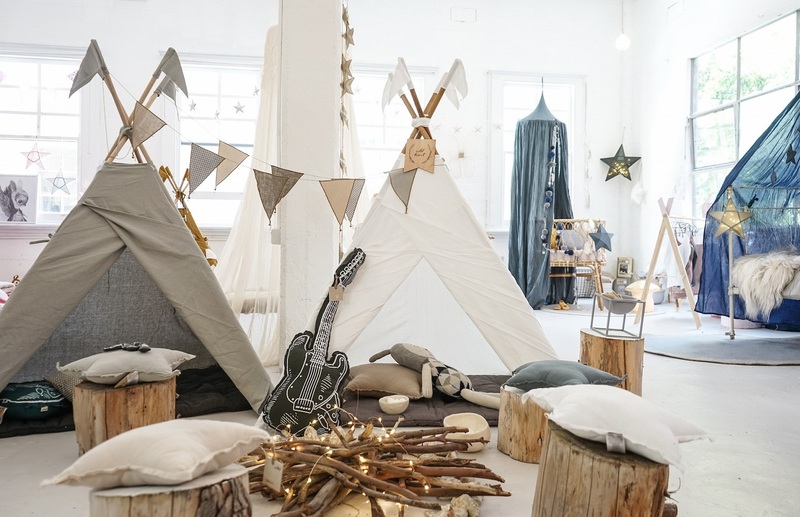 Plus, I’ve also found that decorating my home in Scandinavian minimalism has helped me become better at choosing and organizing childrens toys. Needless to say, I got Scandinavian designed toys for my kids too, after researching and finding out how to choose ones that are healthy and educational, that is. The great thing about Scandinavian toys is that they are meticulously crafted, which means you don’t have to worry about the toy breaking in small parts that can pose a chocking risk. Moreover, Scandinavian design toys are the perfect example of how healthy wooden toys can be for children, as they are free of BPA, VOCs and other toxic chemicals associated with plastic toys. Besides being safe and made of healthy materials, in order for me to buy a toy it has to fulfil at least one of these three factors. First of all, social value – a board game or a doll house teaches children to play together. Second, versatility – toy blocks can be made into every imaginable thing. And last but not least, durability – a wooden train can will last for years and be passed down to younger siblings. It’s this selection process that helped me reduce clutter and ensure my precious angels get valuable playtime with quality toys. Almost every business runs on information nowadays, and without a comprehensive cloud management, your business is prone to data loss, security threats and a lot of downtime. So regardless of whether you have a hybrid cloud or a multi-tenant environment, there are many cloud management service providers that can help support your environment and fill out all management gaps. 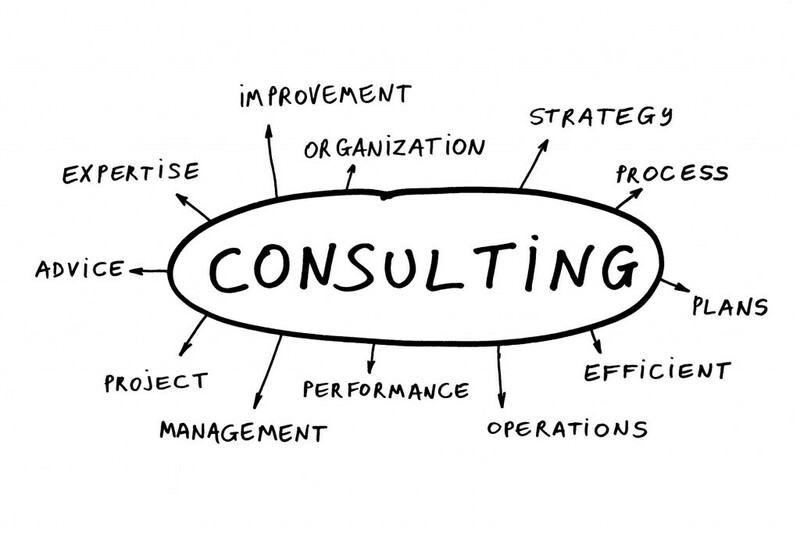 In other words, there are cloud services consulting experts who offer their extensive knowledge on daily basis, and offer technical support to enhance your daily business operations. Oftentimes, internal IT departments are either small or non-existent, especially in small and medium businesses, so the business relies on third party cloud services consulting firms to do their bidding. Here are some of the benefits you get by outsourcing your cloud services. Outsourcing cloud services saves you money on network maintenance costs. Employing a full-time IT department can be an expensive, long and oftentimes unnecessary process for small and medium sized businesses that have simple networks. Outsourcing the cloud services can save you thousands of dollars on a yearly basis. Cloud managed services are very flexible, and you can decide how much you want and need, allowing for a consistent monthly cost. For instance, you may be busier during some months, so you can decide to expand during those peak times, then lower the capacity once things have settled. This allows you to fully optimize the amount of money you spend on the cloud services. Cloud professionals offer a robust network infrastructure, and many of them offer 24/7 management and damage control. Moreover, you’ll get consistent software updates and always have the latest technology on the market. Lastly, you can ask to have your existing business practices and policies coincided with your future goals. Most cloud providers offer networks that are resilient and reliable enough to maintain business continuity. This ensures your data is safe, and backed up on off-site servers that you can have access to in case of a data loss disaster. This is important for business continuity, so your operations can continue with minimal downtime. Cloud environments are considered the future of data storing, and migrating to a cloud is the first step. As aforementioned, you’ll get the latest services and technologies available on the market. On the other hand, if you were to hire an in-house IT team, your IT team will have to spend some time learning how to use new technologies and waste time on new updates. If you don’t have a spacious yard, do not despair – you can always turn your balcony into a small yet lush oasis of greenery. Miniature, balcony gardens certainly have their own advantages – they look cosy and intimate, and are generally considered a lot easier to take care of as opposed to large-scale garden lots. Not to mention how they give an uplift to your apartment’s exterior, which you as an individual resident of a building might not have the power to considerably affect. 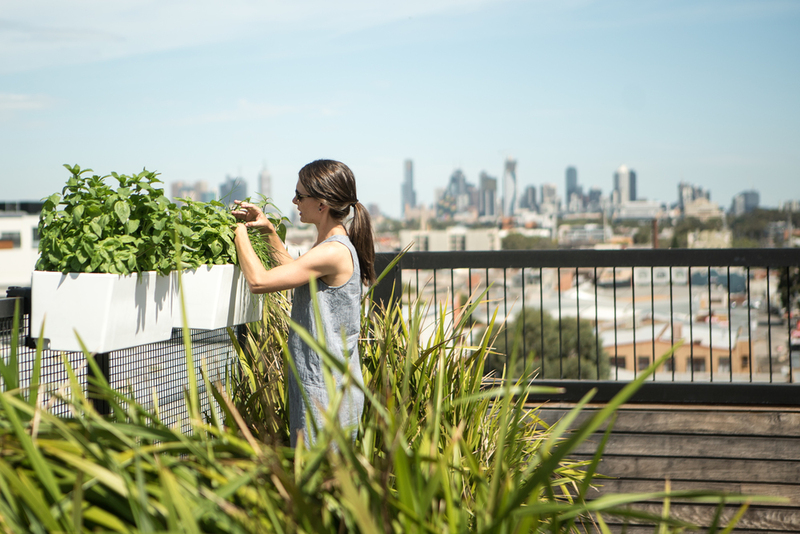 When starting your balcony’s garden, the sheer lack of space might seem daunting. However, nowadays there are many modern balcony planters designed to be attached to the balcony railing to save your precious floor space for furniture. But if you have a million-dollar view that you don’t want to obstruct in any way, you might want to consider a good mix of wall mounted planters and pots hanging from the ceiling. 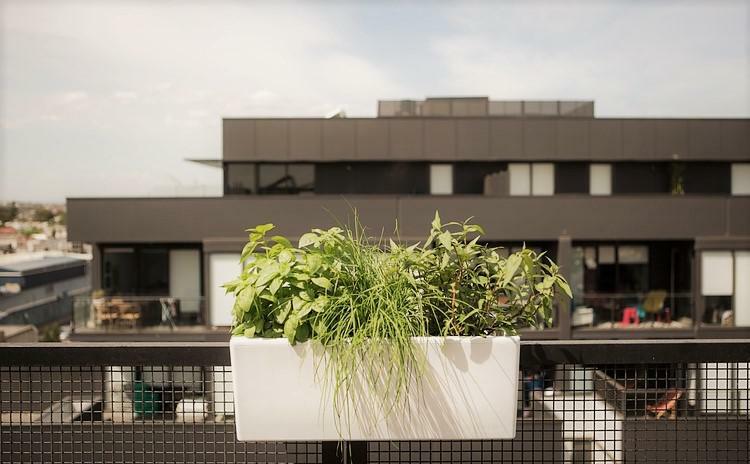 Since potted plants do not get a constant supply of moisture like plants grown in yard soil do, it’s important to water them as often as necessary, or at least choose modern balcony planters that allow for self-watering. Self-watering planters have an integrated water tank at the bottom which allows the plant’s roots to draw water as needed, for weeks on end. They are an especially attractive choice for homeowners who travel a lot, or lack a green thumb, as the self-watering design is equally effective in preventing drying out and over-watering the plants. But even self-watering planters won’t be of any help if you fail to choose your plants right. To ensure your balcony garden does not end up a failure, consider your hardiness zone as well as the unique microclimate of your outdoor space. Is your balcony perpetually shaded, or does it get light and how many hours of it? Is it sheltered or windy? Do the building materials affect how hot or cold the space gets? Taking time to evaluate your conditions and choose suitable plants can greatly enhance your gardening success. And finally, you need to ensure that your plants get adequate drainage which might be a problem for container soil. To ensure the plants get all the drainage they need, choose pots made out of porous materials, such as terra cotta, which include drainage holes. A good potting mix will also help provide adequate drainage. Potting mix ingredients like perlite or vermiculite create pores in the soil which improves drainage. Moreover, compost potting mixes which include organic nutrients can help fertilize your small garden, additionally increasing your chances of success. The wheels of a bike are among the most replaced parts by most bicycle enthusiasts, as they’re the part that takes the most abuse while riding. A wheel effects the handling, speed, weight and the bike’s overall performance. Typically, lighter wheels improve the bike’s acceleration, lower the rotational weight and give you a slight speed boost. However, if you’re into off-road and rough riding, then burly and tough wheels can be the better alternative. 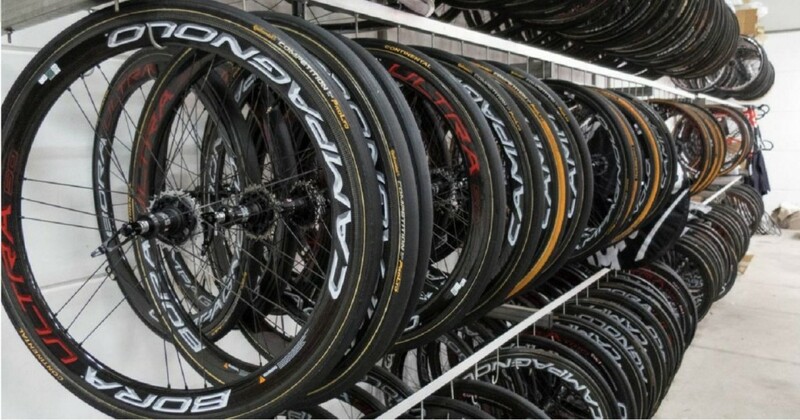 That said, if you’re looking to replace your bicycle’s current wheels with new ones, there are several factors to take into account in order to make the right purchase. Factors such as wheel size, rim width, weight, hub type, spoke number, and others, should have an impact on what bike wheel is right for you. As aforementioned, if you’re into cross-country racing and riding, lighter wheels provide less rotational weight which equates to more speed. Mountain bikes, on the other hand, require wheels that have wider rims that can take the abuse. The three most common bike wheels diameters are 26 inches, 27.5 inches and 29 inches. Again, depending on the type of riding you do, the ideal diameter will vary. 26 inch wheels were considered the standard, because they balanced stiffness, light weight and snappy acceleration with sharp handling in technical and twisty single-track terrains. Manufacturers started experimenting with 29 inch wheels sometime later, and found that 29 inch wheels held speed better and rolled easily over obstacles. However, 29 inch wheels had their own disadvantages, like having less wheel stiffness and increased weight. So in an attempt to balance things out, 27.5 inch wheels emerged as the ideal compromise. In terms of rim width, most bike wheels are either 23mm or 28mm. 23mm rims are standard for trail and XC riding, while more technical and rough terrain riders opt for 28mm rims. However, there are people who prefer more extreme FR and DH riding, which puts the wheel through a lot of abuse, so they may end up choosing 36-40 (sometimes even wider)mm rims. Lastly, the amount of spokes and spoke patterns can impact how the load is distributed across the wheel. The standard is 32 spokes, but most lightweight wheels feature 24 or 28. Wheels meant for more extreme riding, on the other hand, feature 36 or in the most extreme cases even 48. Spokes can either be butted or plain-gauge. 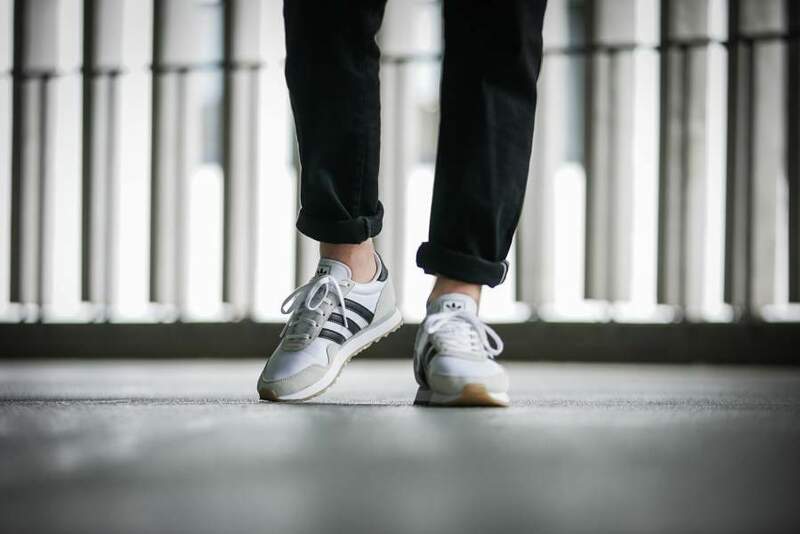 Standard wheels are manufactured using j-spokes and feature a bend on one end, which is considered a weak point, so most manufacturers opt for wheels with straight-pull spokes. Most wheels use a 3x spoke matter which is laced in a way where each spoke passes either over, or under three other spokes between the hub and the rim. Another popular pattern is the 0x or radial pattern, where spokes go from the hub to the rim without crossing other spokes. If you haven’t invested much effort in how your bed looks like, you are missing out on one great opportunity to create a relaxing bedroom ambiance with a personal touch. A good bedding set can be a total game changer when it comes to the look of your bedroom, as well as the quality of your sleep. And considering the fact that we spend a third of our lives sleeping, it totally makes sense to make our sleeping environment as healthy, comfy, and attractive as possible. So, don’t lose sleep over manchester anymore and pay attention to the following tips. In this digital time, it’s strange that we are still so drawn to furniture pieces that were designed way back in the sixties. Even well into 2018, the mid-century style still has an enduring popularity. 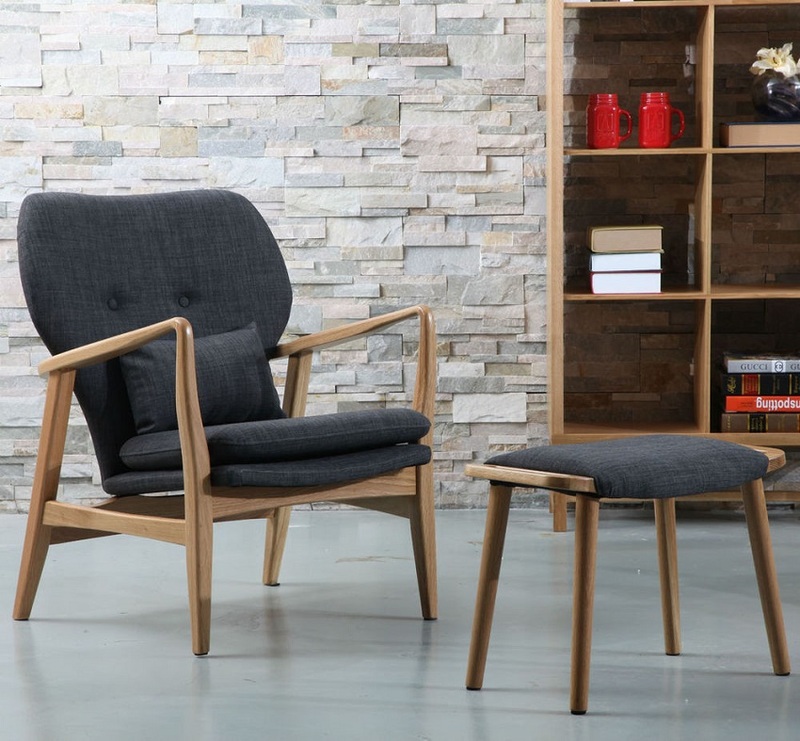 This can be based on many factors – ranging from the minimalist design, to the love for different materials and gentle organic curves in furniture. Or, it could be just a subtle nostalgia for the good old times. Owning a house instead of an apartment might come with some extra cleaning and maintenance tasks, but when it comes to the great joy of having an outdoor space – I’d pick a house with a huge garden any time! Just think of the many opportunities outdoor spaces offer, one of which is being able to wine and dine there, surrounded by the vibrant colours and delightful scents of your garden. Of course, delighting in all of this wouldn’t be possible without having a gorgeous and functional outdoor dining set. Here are some helpful tips on how to choose yours. Like any buyer, you too will want to get durability and value for your money and save yourself from the trouble of having to renew your dining set every other year and spend additional money. Considering your outdoor dining set will be exposed to the outside elements 24/7, choosing the right material is of great importance. If you love the sophisticated charm of wood furnishings, consider teak which is a very popular choice for outdoor dining settings. 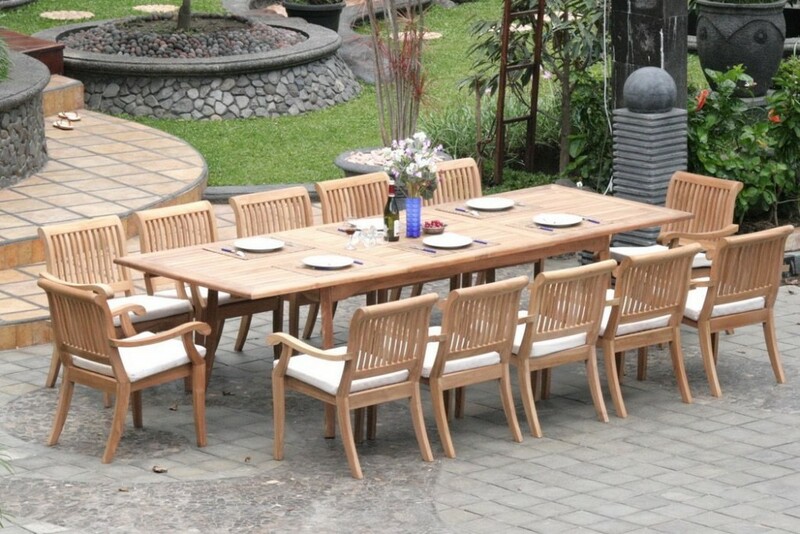 Teak is rich with natural rubber and oils which form a layer of protection against pests, moisture, rot and sun damage. When it comes to dining sets made of metal, many opt for wrought iron which is a more attractive alternative to stainless steal, and also completely corrosion proof. In order to get the most out of your outdoor space, the dining set needs to be the right size for it. If you own only a small deck or patio, consider getting a bistro style set which consists out of two chairs and a table. Additionally, you can add an ottoman or two if there’s enough space left. Always remember that there still needs to be ample room for people to freely move around the dining area. On the other hand, if you’re lucky enough to own an enormous yard, feel free to consider a full dining set for 6 or 8 people – perfect for Sunday lunches with the family and small dinner parties outdoors. Let’s be honest, style will ultimately have a big impact on your choice, which is a good thing. After all, you’re not limited to the grey tones of unfinished teak, or the dark shades of metal pieces. When it comes to outdoor dining settings, there’s always the ability to spruce them up with the addition of colour. Colourful finishes on furniture, or even bold splashes of colour on cushions and accent pieces can mean a great deal when it comes to creating a unique ambiance. 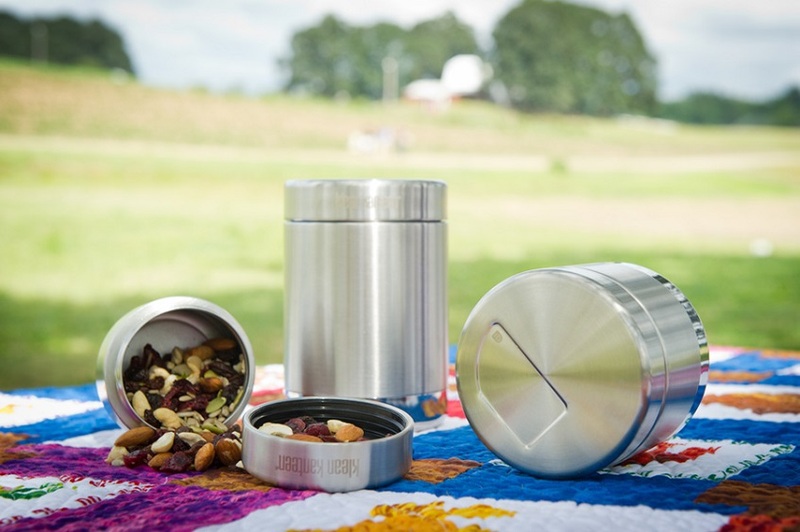 For domestic kitchen use, there are a variety of different mixers you could try out which would undoubtedly prove useful in the preparation of a whole assortment of different food items. It doesn’t matter if you get a hand mixer, or a standing one as both offer advantages and disadvantages that are unique to them. Luckily, since they are meant purely to be used at home in the kitchen, the needs that ought to be met are not so stringent. However, when it comes to businesses that revolve around baking, it is quite another matter.